Last year I made a set of goals for myself rather than resolutions. I split it into a few main areas. Blog, YouTube, Social Media and Life. For both my blog and youtube channel, I have no real goals other than to do what I enjoy. I want to try and get a bit of a schedule up and running and try and talk about certain things each month, but I know from past experience that doesn't always work for me. I want to try and weekend vlog more often as Vlogs are my favourite things to watch and I want to try and put up two videos and two blog posts a week but I won't be mad or upset if I do more or less. Life gets in the way a lot of the time. Last year I set myself some social media goals and while I only met two of them (Pinterest - which I did really quickly then changed my target & facebook). 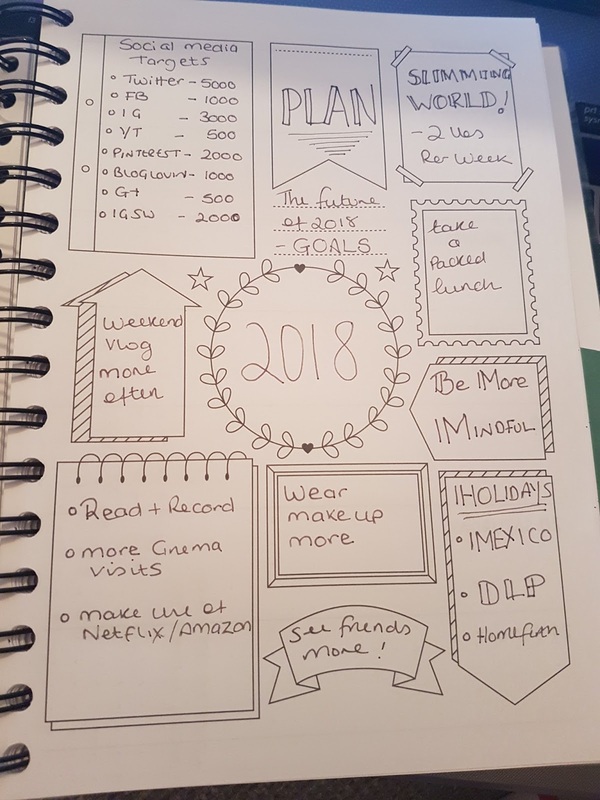 This worked well for me, I did try and break it down further to try and see how many I needed each month but this year (at this moment in time) I'm being a bit more relaxed and going with the flow. It would be amazing to get anywhere near these targets. Numbers aren't everything but who doesn't love a good round number. My life doesn't feel like it's changed one jot since this time last year, my back is worse but everything else has been static. I feel like I always say this and my life hasn't really changed in about 15 years. Last year I wanted to see my friends more. I sort of achieved this and it's on the list again for this year. Get a new job was also on it, I didn't get one, I applied for one job but didn't even get to the interview stage. My own job will be changing in the next few weeks to be slightly different so I'm going with an open mind but I think getting a new job will stay on the list. Go back to the gym, this happened sporadically, I went more in 2017 than I did in 2016 so that's a win. I want to go back as I do enjoy it but it's getting me through the door that's the problem. Read more and start a second blog were also on the list. I did read a lot but I didn't track what I read apart from my book tube videos and I did start a 2nd blog but I didn't post much so fails all around. Goals for 2018 include taking a packed lunch to work, wearing makeup more, aim to lose 2lbs a week at Slimming World, book holidays with friends, read more, go to the cinema and make use of my Netflix / Amazon Prime Video accounts. Nothing life changing but they will all help me to be more mindful and that is also on the list! This is a really nice list! 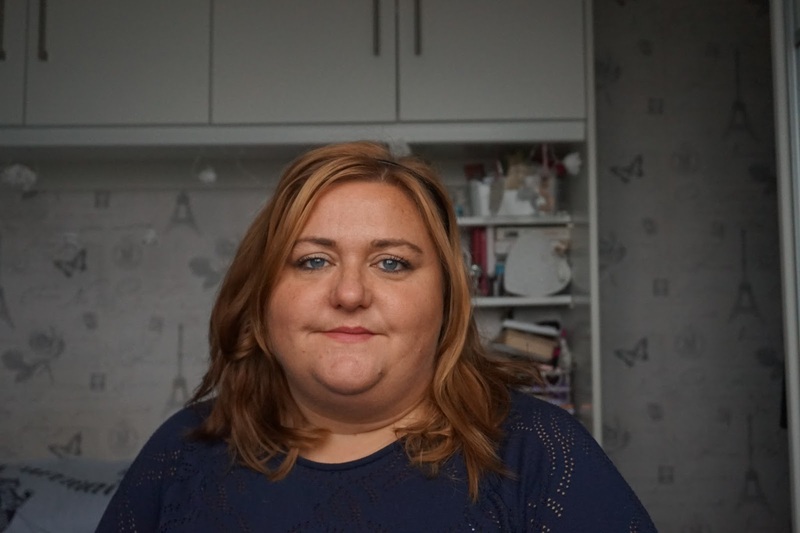 I'm with you on the Slimming World aim too - but as long as I either loose or maintain I'll be happy. Good luck with the vlogging too - I got a new camera for Christmas and have been thinking about making more videos but I just need the confidence! !